These are our five sticker options, each is $33.00 per roll of 1000. 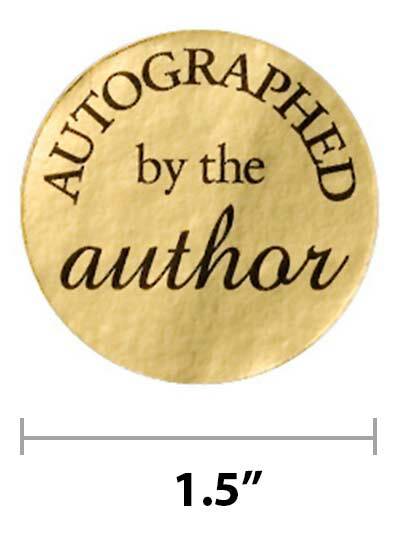 100 pack of 1.5" Autographed by the Author Stickers, just $11.00 - including shipping. Try them out with a free Sticker Sample Pack. 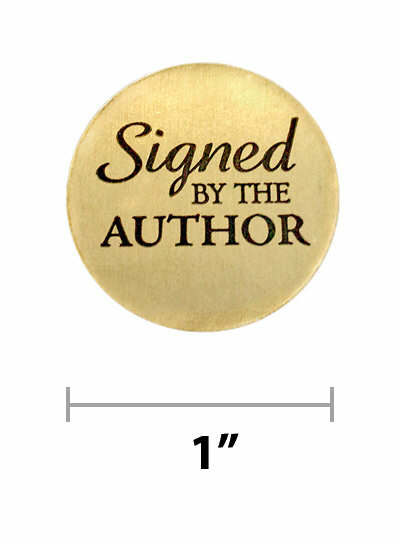 Real metallic gold foil with black writing that won’t rub off! 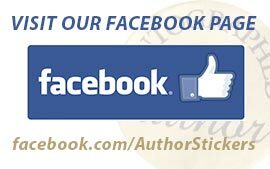 Like us for exclusive offers! 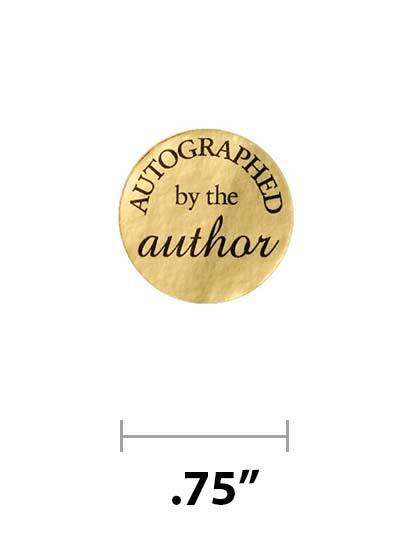 Q: Can the stickers be removed without damaging book covers? A: Stickers are permanent. If you are concerned about the stickers’ removability, we suggest that you order a free Sticker Sample Pack, which contains two of each sticker. Just $4 for shipping & handling. 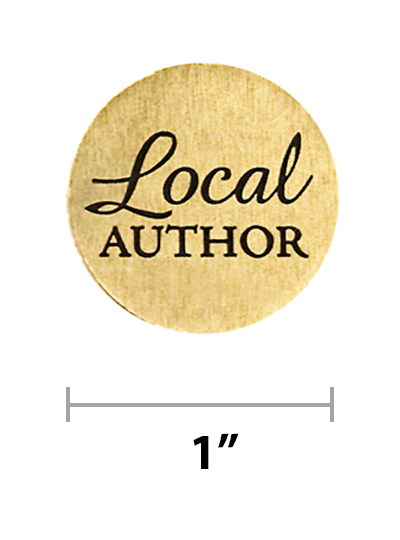 Starting with a Sample Pack is a great way to assess if the stickers are right for your book covers. Q: May I receive a sample before I buy? A: Yes. We offer a free Sticker Sample Pack that features two of each sticker for $4 shipping & handling. Simply go through the sticker ordering process, during which you will be given the option to order a Sample Pack. Only one per household, please. A: Yes. We offer a 10% discount on orders of 4 or more sticker rolls. Please note that separate orders cannot be combined, and all 4 rolls must be shipped to the same address. Q: I am not a U.S. resident. May I purchase stickers? We only accept payments via PayPal from international customers, no checks. We ship rolls of stickers via USPS Priority Mail, so please be aware that shipping and handling costs to Canada and other international destinations are more costly than the expense of shipping domestic orders. Sticker Sample Packs are mailed First Class and may take longer to arrive than items shipped Priority. Q: My foreign bank can draft checks in U.S. dollars. May I pay that way? A: Unfortunately, we no longer accept checks as payment from international customers, even if drafted in U.S. dollars. Instead, please remit your payment using our PayPal shopping cart. Q: I need a roll of stickers ASAP! How soon can you get them to me? A: We use USPS Priority Mail, which offers two- to three-day service to most domestic destinations, and delivers within six to ten business days internationally. If you’re concerned about receiving the stickers by a certain date, please contact us, and we’ll do our best to get your order out in that day’s mail. Unfortunately, we no longer offer overnight shipping. Also, please note that we will NOT ship orders before payment has been received and processed. Q: I just realized that I need to change part of my order! Is it too late? A: Just send us an email ideally within 24 hours of placing your order, with your name and the revision you need to make (e.g. changing the mailing address or the type of stickers you ordered), and we will try to assist you as soon as we can. Q: My order was just processed by PayPal, but I need to cancel it. How do I do that? A: First, contact us immediately so that we know to look for your order and issue a refund, less a $3 handling fee. Q: Is every roll exactly 1000 stickers? A: Actually no. Each roll is anywhere from ten to 90 stickers over. Bonus! Q: Why is there a red piece of tape and red sticker in the middle of my roll of stickers? A: This occurs in one out of about every 50-60 rolls. It’s a necessary by-product of the printing process. But rest assured, you have a full 1000+ stickers in your roll. Q: I received my roll of stickers, but I haven’t received the Sticker Sample Pack I ordered at the same time. Was it sent separately? A: Yes, when customers order a Sticker Sample Pack with another roll(s), we still mail the Sample Pack separately so that it doesn’t get crushed in the box with the sticker roll(s). All of our rolls are shipped via USPS Priority Mail, and the Sample Packs are sent via USPS First Class, which is why you probably will not receive all parts of your order at the same time. Don’t worry, though, your Sample Pack is on it’s way! Q: If the stickers aren’t what I envisioned, may I return them for a refund? A: Sorry, but our stickers cannot be returned for a refund. If you have any concern about the stickers’ compatibility with your book covers, we recommend ordering a Sticker Sample Pack to try the stickers before buying. Q: Can I exchange the roll I ordered for a different style of sticker? A: Yes, as long as the roll of stickers is unused and intact. Please email about your plans to exchange your stickers. Place an order for the stickers of your choice using the shopping cart on our website. Once we receive the unwanted roll, we will issue a refund for your original order, minus the cost of shipping and handling, either by check or PayPal depending on how you remitted your original payment. That said, we definitely recommend that you order a Sticker Sample Pack to try all four styles of our stickers before you decide on a roll of 1000. Q: What is Waxcreative Design? Q: Are these stickers a custom design? I think I’ve seen them before. A: Yes! We designed them from scratch. If you have seen them before, the author got them from us. Q: May I order a custom design? 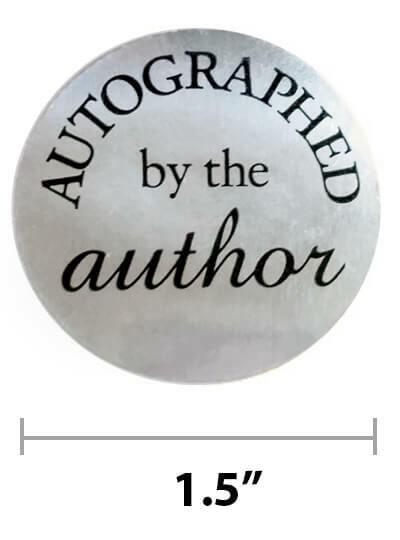 A: We are always open to custom design work, but as a warning, custom stickers, after design (usually 1-2 hours, could be more depending upon your needs), project management (usually another hour), printing, and shipping, will be much more costly than rolls of our Autographed by the Author stickers. We do not print our stickers in-house; we contract with an outside printer and purchase in bulk, which makes our stickers more affordable. If you intend to purchase only one or two custom rolls, the cost per roll will be significantly higher than the stickers we keep in stock. That said, we are happy to custom design your stickers. We also love designing business cards, bookmarks, and other printed material. Please contact our studio for details and print quotes. Q: Can I use your special discount codes? We ship our sticker rolls via USPS First Class and Priority Mail. We are not responsible for lost, damaged, or misdirected mail. Please check your shipping name and address carefully before submitting your order. We will send an email confirmation when your order has shipped. Please allow more time for shipping if going outside the US or if ordering on or shortly before a holiday.